Can I travel until my passport expires? Can I travel until my passport expires? Can I travel until my passport expires? Traveling with an expired document is a significant risk to take; especially if it is used as identification. If you want to remain stranded a foreign country, that is likely to happen if you are traveling with an expired passport. Also, most countries will not allow anyone with an expired passport to exit. So, before you take a trip, make sure your passport will remain valid up to the end of the journey. If not, apply for a new one before you go. Many foreign countries require a US citizen to have a passport and visa to enter and exit. But like many documents, a passport expires and must be renewed before used. An adult passport is valid for ten years, and a minor’s for five years. During that time, it is valid for travel. However, within the last year of validity, it is recommended to apply for a new passport. One primary reason to do so is that of the six-month passport validity rule. How does the six-month passport validity affect US citizens? The six-month validity rule is a law enforced by foreign countries and applies to anyone who wishes to visit for a short period. According to the rule, all visitors must possess a passport with a minimum of six months validity. What does it mean? If you plan to vacation in the country with this law, your passport cannot expire within six months of the day you will enter the country. Most countries provide tourist a thirty to sixty days stay except if the trip is business related. In such cases, then a passport must have more than six months validity. There are a few countries that implement a three-month validity instead of the six-month. However, the trip time must be less than thirty days since the visitor’s passport cannot expire during the stay. Anyone with a passport with less than the six-month validity must obtain a new passport before traveling. So to answer the question, the best advice to give is not to travel until your passport expires. If for some reason your trip became longer than you had anticipated, you must apply for a new passport at the nearest US embassy or consulate in the country you are currently staying. You will receive a temporary passport that may expire in two years or less. 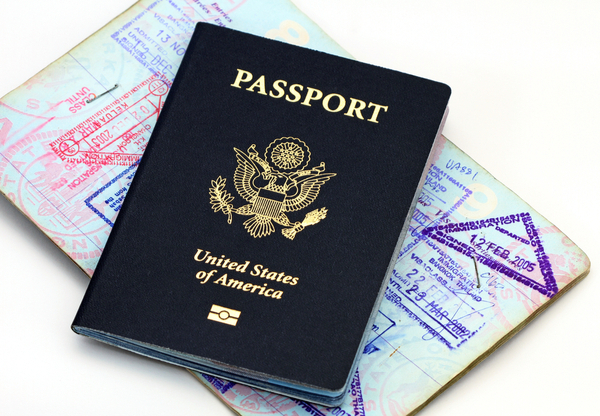 Once you are back in the states, you can apply for a passport that will expire in ten years.